Bow down, everyone. A new uArm, CMUcam and GPS receiver will all but ensure our downfall. Hello there, everyone! We have a pretty big Friday this week with a few big players on the scene. You may have seen it scaring our coworkers last week on Instagram, but we have the new uArm Swift Pro from uFactory now available for purchase! 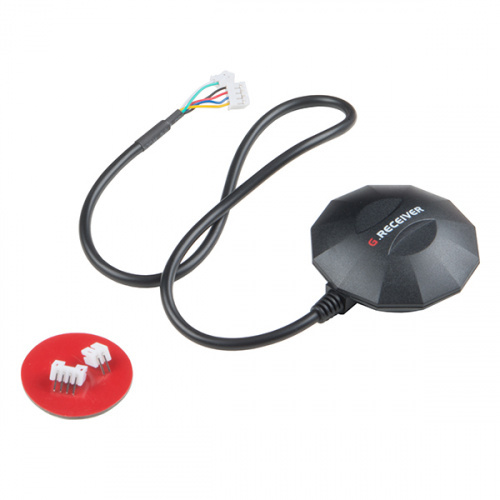 Also this week we introduce the latest edition of the CMUcam, the Pixy and a nifty GPS receiver perfect for autonomous vehicles. Let's take a closer look and see what we have! It just wants to help! 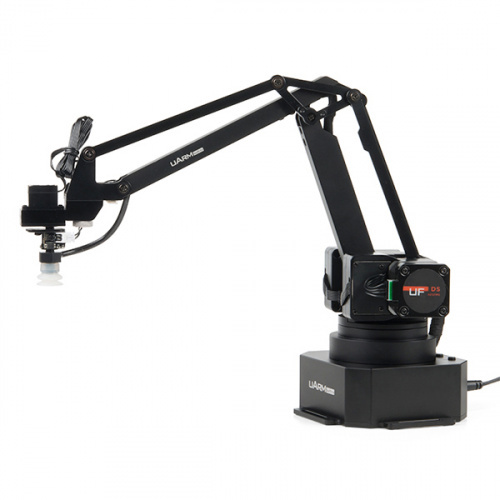 The uArm Swift Pro is a high-grade desktop robotic assistant that can be utilized in many more applications than its predecessors. Built around an Arduino Mega 2560, the uArm Swift Pro is an open source and DIY-friendly robotic arm platform developed for makers and educational purposes. This little bot is extremely easy to use; almost anyone can learn how to play with it in just a few minutes. The uArm supports visual programming as well as Arduino, Python, GRABCAD and ROS programming, providing plenty of options for a wide range of users. Unleash the maker inside and get uArm to make your idea happen! Now you can pick and choose what you want to see. The Pixy CMUcam5 is a remarkably fast image sensor that can be taught to find objects of various shapes, sizes and colors. With the capability of tracking hundreds of objects simultaneously, the Pixy can be used in robotics, home automation, color coding and more --- all the while only providing you with the information that you actually want. Pixy really is a fast and easy-to-use vision system equipped with a dedicated NXP LPC4330 processor, making it capable of handling large loads of data from its image sensor and processing it quickly while outputting what it detects 50 times per second. Ain't no need to watch where I'm goin'; just need to know where I've been. The GPS Mouse is a combination GPS and compass in a self-contained module perfect for UAV and autonomous vehicle enthusiasts. The GP-808G inside the mouse is a highly sensitive GPS module that can accurately provide position, velocity and time readings. This module is highly accurate and easy to use, requires almost no setup time and is very easy to embed into your projects! The mouse-type receiver has been a popular go-to GPS option for many of the entrants in our annual Autonomous Vehicle Competition (AVC) with great results! Alrighty, that's it for this week. There is a lot of good stuff that can be played around with this week (we know because we certainly did that). As always, we can't wait to see what you make with these parts! Shoot us a tweet @sparkfun, or let us know on Instagram or Facebook. We’d love to see what projects you’ve made! Wow the cost of the uArm. I hope they make a cheaper version in the $300 range, even if it has less functionality. They do have a cheaper one planned for an October release, yes. It's called the uArm Swift. I don't think it will hit the $300 price point though. Friday Product Post: Good Riddance, 2016! New Product Friday: Galileo Magnifico!